The LA Zoo is a classic family tradition for us in Southern California and I just love celebrating the different seasons here. We were here, just a few months ago for #LAZooLights and now we’re back celebrating Spring. There’s a lot of new stuff going on at the LA Zoo that you should check out and are available all week long. Including the World of Birds Show that features Hope, the California condor and tons of areas all around the zoo for photo ops. The weekends at the LA Zoo during their Spring Fling festivities is the best. You can catch an education acrobat show, take pictures in front of a green-screen photo booth, Meet the puppets “Monarch Butterfly” and “Bumble Bee” as they wander the zoo. 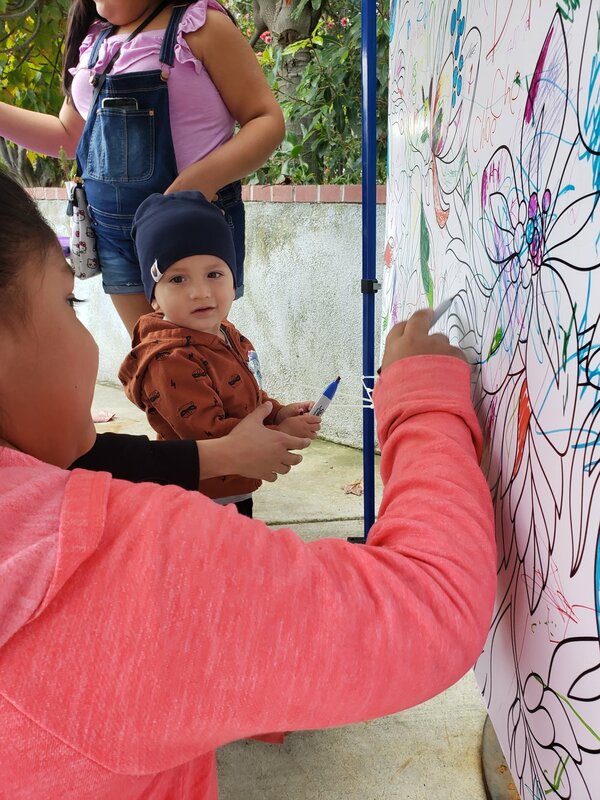 You can plant seeds to take home, create your own Bee or Butterfly craft, draw with chalk at the Children’s Zoo and our favorite was the Honey Tasting with the Los Angeles Bee Keepers Association. And for all of you fans of the classic Easter bunny photos you are in luck because you can meet and take professional photos with Big Bunny himself Saturday and Sunday, April 13 and 14th as well as Friday through Sunday, April 19 through 21st. Don’t forget to pick up your map so you don’t miss the times and days for special animal feedings and presentations. These are really cool to witness, we once watched a Komodo dragon feeding and my girls loved it. Oh and in case you hadn’t heard, the LA Zoo now offers Giraffe and Flamingo feedings available for an additional fee. Check out LA Zoo online to plan ahead or buy your tickets ahead of time.